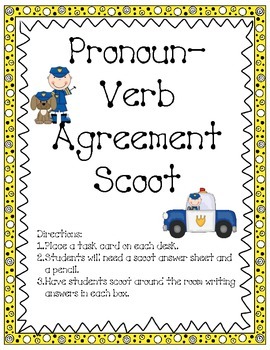 This is a great game for introducing, reviewing, or assessing pronoun-verb agreement. 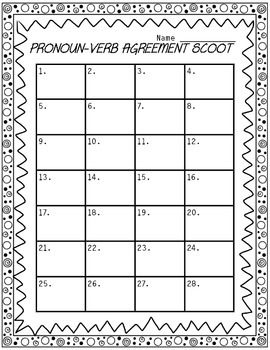 The students will "scoot" around the room answering each task card. 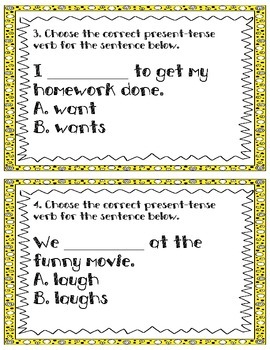 This packet includes 28 task cards, directions, a blank student answer sheet, and an answer key.